The Raving Queen: Farewell To June, Girls!!!!!!!!!!!!!!!!!!!!!!!!!!! 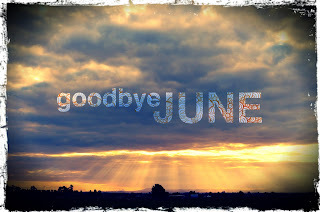 Darlings, it seems like yesterday, June was "bustin' out all over," and now here it is , on the way out. And taking the first half of 2013 with it! Can you believe we have reached this point already?????? Hope the second half of the year is as much fun and event filled! So much happened in June! I saw "RAGS" and got attacked by one of its actors!!!!!!! I was accused of shoplifting!!!!!!!!!! DOMA triumphed!!!!!!!!!!!!!! Paula Deen's empire crumbled, like one of her under cooked cakes!!!!!!!!!!!!!! I ate Hummingbird Cake, in honor of Paula!!!!!!! I did my third reading of "Anna Karenina!!!!!!" Paula Zahn is back on the air!!!!!!!!! And, today, to cap off Gay Pride, we are seeing Bette Midler in "I'll Eat You Last!" Yes, dears, it was an eventful June! But, now, all sorts of things heat up in Summer, and not just the weather! Hope to see all my darlings back here in July, and it is not too early to start planning for the 4th! Just like Little Edie!!!!!!!!!!!!!!! So Long, June, 2013! It has been a great month, one and all!!!!!!!!!!!!!!!!!!!!!!!!!! !